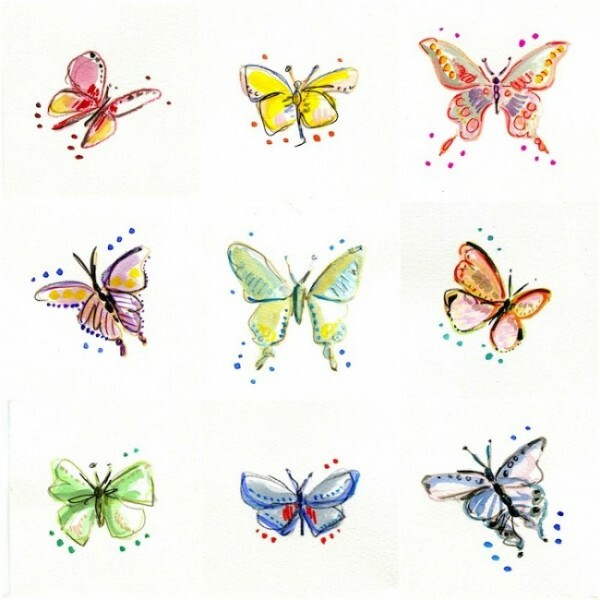 I am so excited to offer original watercolor illustrations of my beloved butterflies in my Etsy Shop! Much like a singer will warm up her vocal chords by reciting a scale of notes I like to warm up for a painting by doing quick sketches of butterflies in flight. They are colorful and sketchy and I have literally hundreds of them! These little beauties always remind me that life is a process – a thing of beauty emerging from a rough cocoon. They look beautiful framed in a triptych or simply pinned to an inspiration board. Great opportunity to own original art!